Lucidity is an open-source festival experience, set to challenge existing models and push creative and cultural boundaries; a space where imagination becomes manifestation, and inter-dimensional Art, Light, and Love spill from mental and spiritual spheres of existence into the beautiful medium of the physical world. Built on a foundation of community, consciousness, art, music, healing, and in the spirit of sharing and working together. "We invite you to come collaborate and play with us. 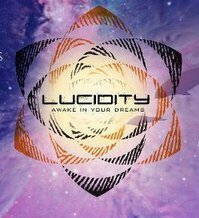 Let us awaken to All That Is ~ awake in your dreams -Lucidity"
And many more announced daily! And guess what? The true seekers will find even deeper layers to explore once there, enjoy your little trip down the rabbit hole! We encourage everyone to carpool and rideshare. Back by popular demand, Nexus is proud to present the fourth installment of BOING!!!! 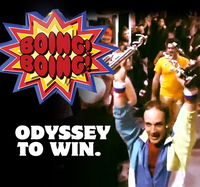 Odyssey to Win! Join us for an evening quite unlike most others in the newly expanded Jump Sky High. Also known as "the warehouse full of trampolines! Start training your team now for the West Coast's most prestigious trampoline dodgeball tournament! Break out your finest leprechaun jogging apparel and your best bouncing shoes and come on down! Funktion One sound and a special selection of musicians and producers for this evenings shenanigans will surely have all you lads and lasses shaking your asses!! or upon arrival at the venue.